Dr Cornelia Guell is a medical anthropologist whose research focuses on healthy living practices and policies and how these are shaped across the lifecycle, population groups, and socio-cultural, political and economic contexts. 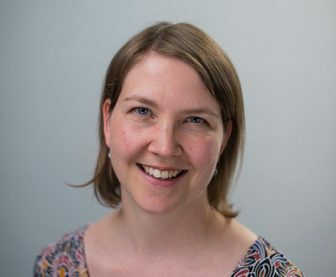 After completing a first degree in sociology and social anthropology at the University of Heidelberg and graduate training in medical anthropology at Brunel University, Conny was awarded an ESRC PhD scholarship and a Wenner-Gren dissertation grant to explore Turkish immigrant experiences with diabetes care in Berlin, Germany (PhD in Social Anthropology, Edinburgh, 2009). She undertook postdoctoral research on physical activity in British Pakistani women at Durham University, and was the qualitative research lead on a mixed-method project to investigate decision-making and social contexts in commuting at the MRC Epidemiology Unit and the Centre for Diet and Activity Research (CEDAR) at the University of Cambridge. After three years of teaching and research (on diabetes care and chronic disease policy implementation) at the University of the West Indies in Barbados, Conny returned to CEDAR to conduct an ethnographic study on aspirations for active ageing; she also led on a knowledge exchange study in transport and health. Now based at ECEHH, Conny continues to develop social theoretical and qualitative methodological approaches for exploring the social and physical environments that shape health behaviours. A particular interest lies in framing behaviour change within social practice theories, and in understanding multi-sectoral policy responses to chronic diseases in the UK, the Caribbean region and elsewhere. Conny is currently principal investigator of a project working with historians to investigate the history of Caribbean Foodscapes to explore the ways cities impact on their populations’ food practices and opportunities and subsequent health outcomes; she is also principal investigator of the Active Travel Synthesis study (AcTS) study, an Academy of Medical Sciences and Wellcome Trust funded study to develop a sociological approach to behaviour change, and co-investigator on a GCRF MRC-funded project to understand community food production in the Caribbean and South Pacific (led by the University of Cambridge).